The Finger Lakes are home to many small, close-knit communities, the fabric of which is made from the people who inhabit them, yes, but also the small businesses that bring unique offerings to the area. Here at the Finger Lakes Visitors Connection, we are so happy to celebrate those small businesses that attract our visitors, make this area a great place to live, and keep our communities thriving. So, in honor of National Small Business Week – which is celebrating 50 years in 2013 - we’d like to highlight some of our Insiders’ favorite small businesses! We all know there are wine connoisseurs out there. You’ve probably heard of high-end art or music connoisseurs as well. Me? Well, I am a different type of connoisseur. 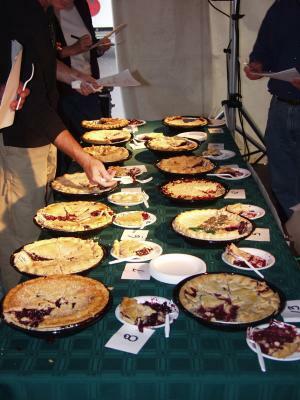 I like to think of myself as one of the top pie connoisseurs in the Finger Lakes Region of New York State! Why pie? Why not! 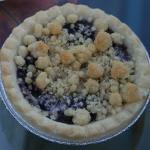 The Finger Lakes is known for our pies, especially grape pies. In fact, we may be the only grape pie producing region in the entire world. And, if we are the only grape pie producing region in the entire world, doesn’t that make us the grape pie capital of the world? It sure does. But, I am hardly the first person to declare that. The small community of Naples at the south end of Canandaigua Lake has been the epicenter of grape pies since the late 1950s. Every year, thousands upon thousands of grape pies are sold by dozens of pie vendors in Naples. During the Naples Grape Festival in late September, the streets of Naples are lined with small business pie vendors that sell thousands of pies just on that weekend alone! These small businesses are what the grape pie culture in the Finger Lakes is all about! Each pie vendor has their own personality, their own ways of making pies and their own unique place in the grape pie capital of the world. As a grape pie connoisseur, I have to say one of my favorite small businesses producing exceptionally tasty pies is Cindy’s Pies in Naples. Cindy is a legend in the grape pie community. Her career as a pie vendor started in 1978 and each year she sells about 5,000 pies. I won’t say how many hundreds of those are bought by me! Cindy’s adventure into the pie making business started as a way to help out her community. “Around 1978 the wine industry was slowing in Naples. The grape industry was losing and I really wanted to be a part of saving it by using the grapes. I also love to bake so it was the perfect opportunity,” says Cindy Trezeciak, owner of Cindy’s Pies. It started with grape pies, but it certainly doesn’t end there. Today, Cindy sells a variety of seasonal pies, including a blueberry grape blend, red raspberry, strawberry rhubarb, and peach, among many others. In addition to the grape pies, she also has delectable grape cookies, tarts and coffee cakes. YUM! What’s Cindy’s key to a successful grape pie business? It’s her relationship with her business partner and husband of 43 years, as well as a lot of faith and hard work. “I love to work hard and I love hard work. It makes me feel good at the end of the day,” she says. You can see and taste the results of Cindy’s hard work by visiting Cindy’s pies at 5 Academy St. in Naples, right at her home. That’s right; Cindy bakes and sells her pies right out of her front door. It doesn’t get any closer to homemade! Make sure to call Cindy as her hours vary from season to season, (585) 374-6122.